This four month long group project took us from ground up research to fully realized presentation. We started with a real world issue: bicycle safety in Denver. We worked through iterations of research to a final solution concerning the issue of safety. Through observations of existing bicycle safety standards, current laws, interviews, personas, and mind-mapping, my group decided to create a poster series featuring members within the community. 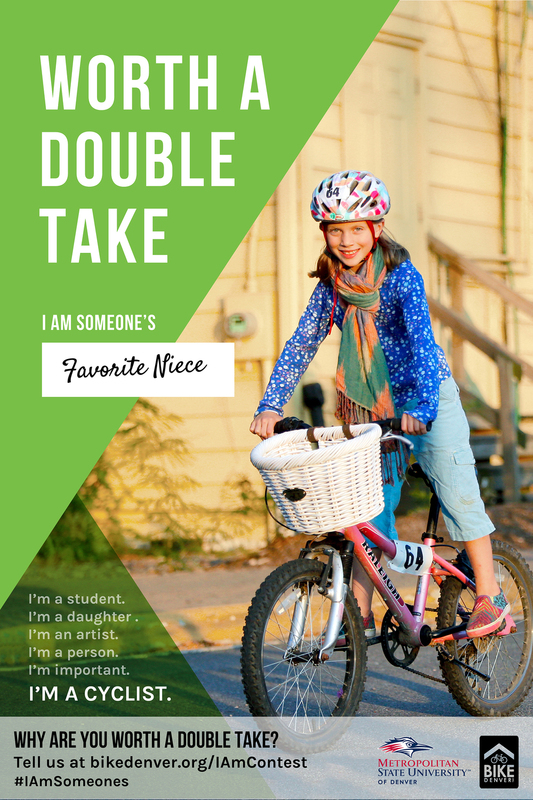 By featuring members of the community, our posters would take on a humanizing aspect, letting the community see and understand why bicyclist are worth a “double take.” These posters targeted the humanization of bicyclists by explaining why people are worth a double take and not just obstacles on the road. My role was in concept development as well as certain aspects of the design layout in the finalized poster series.